My first real encounter with Taiji (or Taichi as some anglos will call it) was when my mum decided to take it up as a form of exercise some time back in the early 2000s. Like many, I brushed it off as some exercise for old folks and even laughed when she went to Chinatown just to buy those flat, blue cloth shoes just for her Taiji lessons. Later in 2009, I found myself learning Taiji too. Who convinced me? It was Master Sim of Wu Tu Nan Taiji Gong who came to my previous workplace to give a talk about Taiji and its benefits. Years later, I contacted Master Sim again and invited him to give a workshop at my WellnessYogi RESET as I believe that, like yoga, taiji is meant for everyone and it needs an avenue to shed its stereotype. 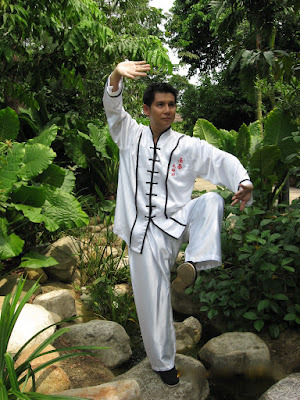 Master Sim Pern Yiau is a certified 5th Dan Shifu under the Wu Tu Nan Taijigong lineage. This traditional system has its roots in the holistic teachings of the great sage Lao Tze. 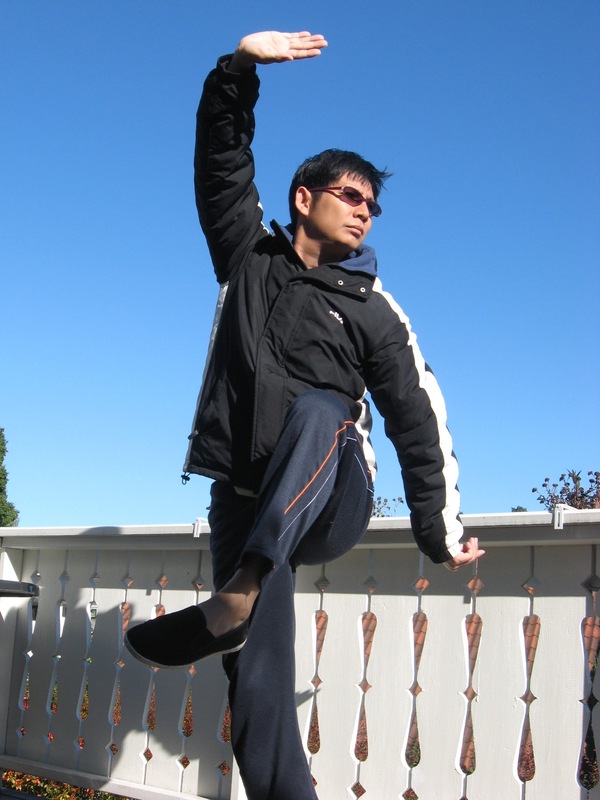 Shifu Sim has been teaching since 2005 and has students in the U.S., Chile, Germany, Norway, Italy, Malaysia, Singapore, etc. He researches into traditional Taijigong as well as modern applications for various contexts such as healing and enhancing performance in dance, acting, singing and music performance. When we think Taichi, an image of old folks comes to mind, is this a misconception? Is there space for the young?Yes, it is a definite misconception. Certainly most Taiji (Taichi) as practised today perpetuates the misconception. That's why Wu Tu Nan Taijigong is special. 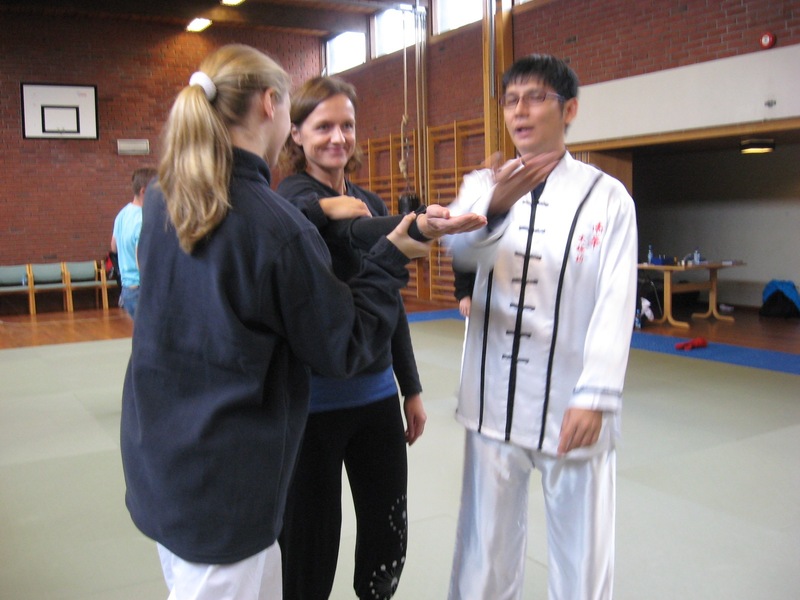 Taiji is traditionally an advanced form of self-defence. Our practitioners retain this tradition. The principles of body mechanics and Qi-harnessing used in Taiji defence are the same principles used to give us health, fitness and anti-aging properties. The thing is, how can we achieve all these through that gentle flowing practice? The secret is in understanding Qi. Do you see overlaps, connections and any possible Taichi yoga hybrids perhaps coming together in the near future? The essential difference between these 2, in my humble observation, is that Yoga does not have the defence component. As defence requires an understanding of forces in motion as well as stillness, Taiji teaches both in equal measure, whereas Yoga generally emphasises physical stillness. Thus, Yoga emphasises asanas whereas Taiji emphasises the moving sequence. However, at a deeper level, both share very similar energies. Both come from long and deep cultures that investigate the holistic relationships between body, mind and spirit, between humans and the larger universe. Both find stillness in motion and motion in stillness. Both work with energy - prana and qi. Both seek balance within and outside oneself. Both lead us to strength and peace. A Yoga-Taiji hybrid is beneficial if one does not dilute the strengths and special characteristics of each. Modern day life is plagued with 1st world problems, how does your system benefit the desk bound worker? Our bodies can be desk bound but our mind and spirit does not have to be. In the early stages of training, the physical exercises of taiji will help you release the tensions and ailments accumulated through a non-active lifestyle. At higher levels, because of the body-mind-energy training of taiji, you can release tensions and harness energies even at your desk! However, if the bosses learn Taiji too, then they might learn how to manage their whole team better in an Yin-Yang way! One of our practitioners, Mr George Yeo, has actually spoken about this in one of his speeches in his recently published book. The speech, if I am correct, is entitled "The Field of Qi which Affects our Well-Being". Are there modern application to Taiji? Has Taiji evolved to suit the tech age we live in? The modern applications of Taiji are potentially endless. Because everything is yin-yang. For example: what makes the mobile phone more far-reaching (yang) than the PC? Because it is small and mobile (yin). What sites are successful, huge and all encompassing (yang)? Sites like Facebook, Twitter and YouTube, where in their vast interconnectedness, they allow for ever-evolving personalization (yin). If you want depth, go for traditional blogs. But if you want width, go for sites like Facebook. That is why many people write blogs and then put them out through Facebook. This way of using Taiji principles in tech-thought is to enhance. The other way is to reduce. As we become more high tech, we lose touch with ourselves, our bodies and our real environments. As we spend more time with virtual communities, we can lose touch with physical communities. Taiji helps us reconnect back to our bodies and environments. In a way, technology is nothing but the enhancement of the human senses and bodily faculties. We are able to see with our eyes but the microscope helps us see sharper while the telescope further. The internet and TV just help us see beyond our own times and cultures. We can hear but the phone helps us hear others across great distance. We can move but cars and planes just help us move farther and faster. Taiji helps you gain greater control over your body and senses without modern technology - how to use your body and energies in much more efficient ways. Taiji is, in fact, the ancient technology of the body. Why does Taiji make you feel better? Is there a science behind this good feeling? Taiji does not only make you feel better, it makes you better! There is so much evidence and numerous studies done over the decades on the different aspects of Taiji. There even is a book called the "Harvard Medical School Guide to Tai Chi", which was published in2013. There is not just one science behind Taiji, but an array of sciences - biological, physical and chemical. You look so youthful and radiant, has Taiji helped preserve your youth? Thank you for your kind words. I should say it this way: nothing can be preserved, certainly not youth. Change is the essence of life. However, we can learn how to effectively manage change, manage the yin-yang. This acceptance rather than resistance, working with rather than working against the processes of change, these are what helps to keep us youthful and radiant. That's what we mean by going with the flow. Most importantly, be kind to oneself and others. Kindness is evergreen and radiates! Thank you Master Sim for your time and I most certainly am looking forward to your special workshop during our WellnessYogi RESET where attendees will learn how to feel their Qi! A variation of this interview can also be found on the website of our media partner www.intheloop.com.sg.